Regarding running, "Don't leave home without it," has nothing to do with American Express. What I don't leave home without is my Garmin 220 runner's watch (which also works for swimmers and bicyclists, I'm told). The watch records many more things than I understand or am interested in. All I want to know, when I'm running is my heart rate, and pace (current and average). When I'm through with a run I print out the details, which includes the route map (see the illustration), altitude gain and loss, cadence, temperature, and about a zillion other things I seldom look at. It's the route that I call "the big loop" that I began to scrutinize a few weeks ago. At that time it was 7.4 miles, and I wanted to increase it to 8 miles. I'd played all the possibilities over in my mind and couldn't think of a way that would work because, being a night runner, I'm rather particular about lighting, surface, and traffic. Every way I thought of to add .6 miles wouldn't work. Finally, I took a look at my print out and realized I was making a major mistake in my mental process: I was looking for a way to add a single 0.6 of a mile chunk to the route and that truly wasn't a viable possibility. However, with the map as a guide, I saw some minor tweaks, three to be exact, that I thought might give me the distance I wanted. I noted the changes, strapped on the watch, and headed for the new, slightly tweaked Big Loop. 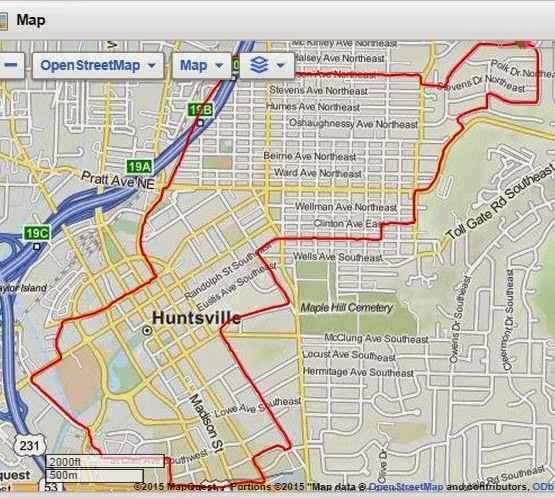 Viola, the 7.4 mile big loop was now an 8.2 mile loop. Not a drastic increase, but its one that has, so far this month produced 16.8 extra miles and by the end of the month that increase should be 21.6 miles. By getting an accurate idea of what I was currently doing, I was able to make a few, small tweaks and get the results I was looking for. Then, last night, when my Garmin 220 vibrated at the 8 mile mark, it triggered the realization that I could make a few, small adjustments in anything I wanted to do better and achieve the same results. It's pretty cool when my watch points out philosophical truths like that.